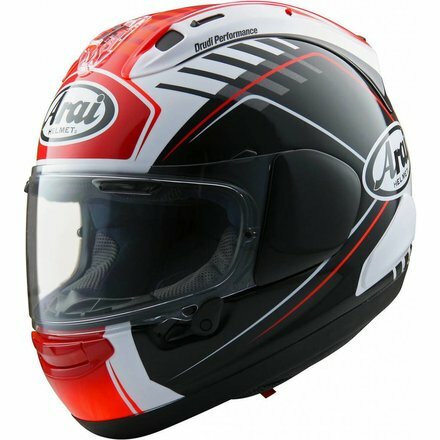 The RX-7V Guigliano is a race replica helmet. 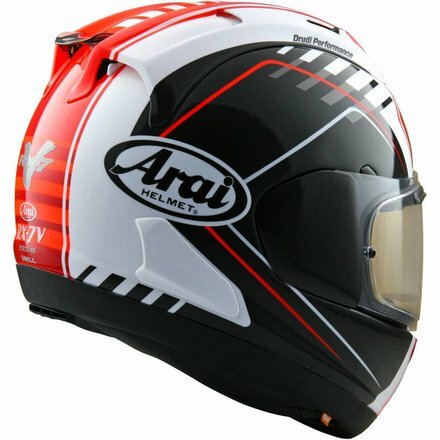 The RX-7V is the top of the range Arai helmet. 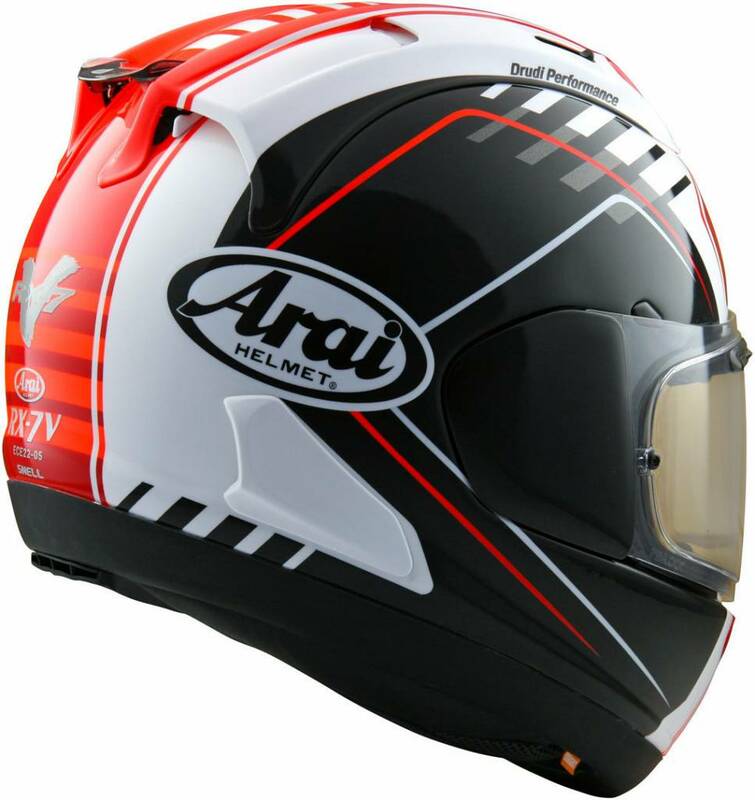 Built for motorcycle sports and racing. 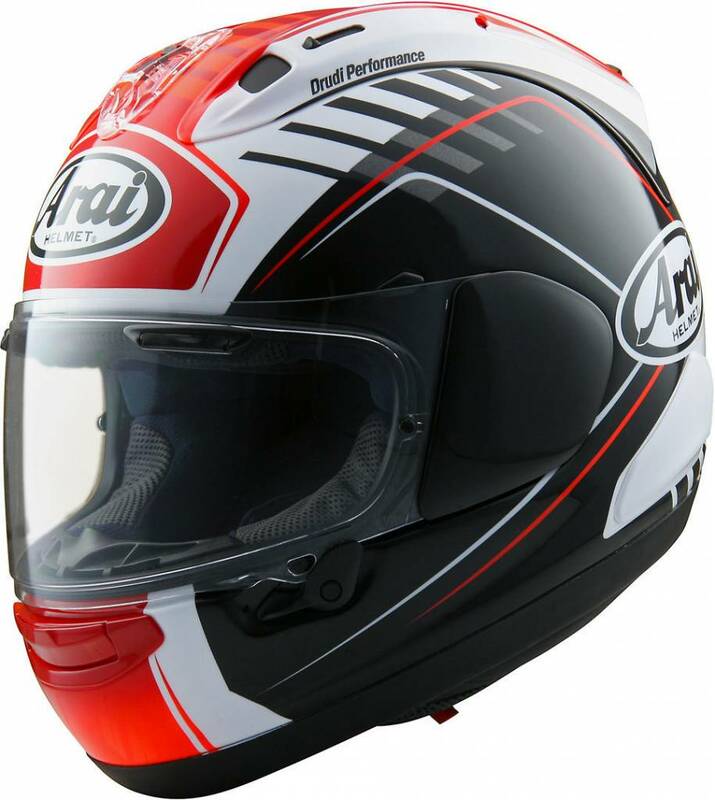 With a new shell, and visor system along with better diffusers and vents plus a new eco pure liner this really shows off the knowledge, expertise and experience we have in helmet technology really making the RX-7V raise the bar in the premium, top of the range helmet market.